At the age of 82, Alexandre de Lur Saluces has written a book telling us of his trials, tribulations, and joys in the many years he has made world class wine in Sauternes. 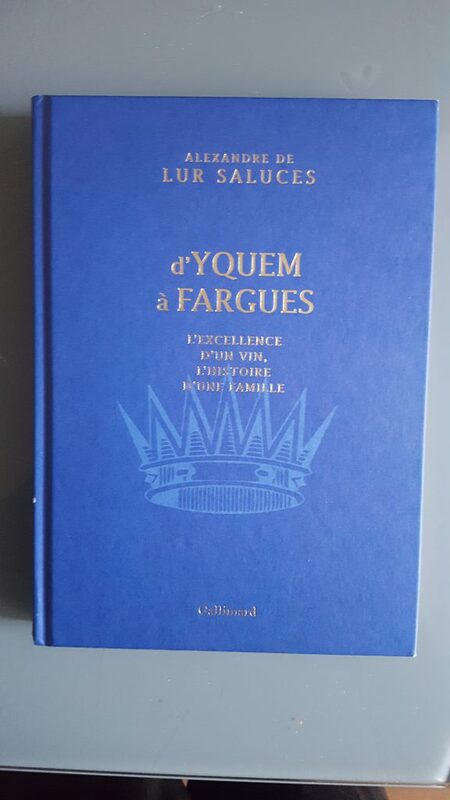 “d’Yquem à Fargues – l’excellence d’un vin, l’histoire d’une famille” was published by Gallimard in November 2016. Gallimard (one of the largest French publishing houses) only distribute the French version. This relatively short (175 pages), but many-faceted book is a very interesting and entertaining read. There’s even a section on “Sauternes in Literature”. It has a handsome royal blue and gold binding, as well as the crown all wine lovers will recognize from the labels of both Yquem and Fargues. The book is divided into several parts: a forward by Natacha Polony (a French journalist and essayist of Polish origin), a preface by Marguerite Figeac (a professor of history at Bordeaux University), an introduction and a conclusion by the author, a postface by Jean-Paul Kaufmann (a journalist, writer, and noted lover of Bordeaux wines), and a series of appendices on various technical and historical subjects. 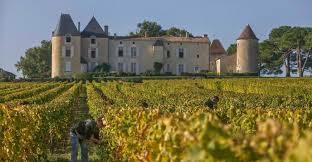 The Lur-Saluces name will, of course, forever be associated with Château d’Yquem. This came into the family when Louis-Amédée de Lur Saluces married Joséphine de Suavage in 1785. At one time, the Lur Saluces owned some 700 hectares in Sauternes (over a quarter of the combined present-day area of Sauternes and Barsac), including châteaux de Malle, Filhot, and Coutet. Alexandre de Lur Saluces was in charge of Yquem for 36 years, from 1968 to 2004. The sale of the estate to LVMH involved a long bitter fight, but this is wisely dealt with dispassionately and in summary fashion. That is not the point of the book. What is the point then? In fact, there are several. 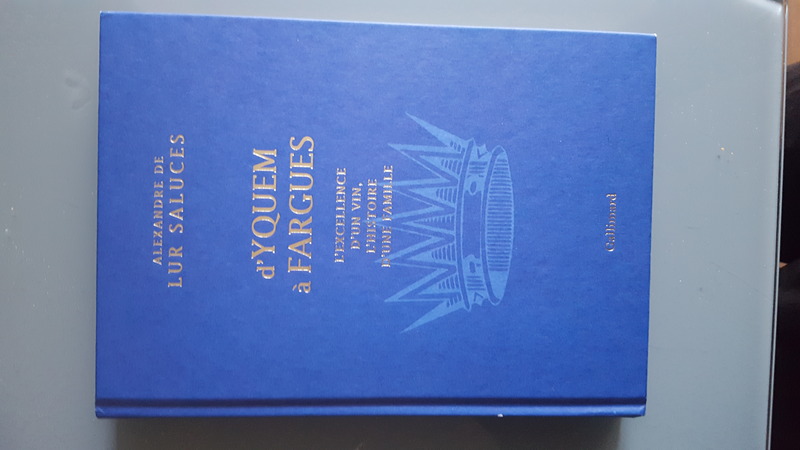 The book is necessarily autobiographical (for instance, I was unaware that Alexandre was the 8th of 9 children), but also describes the renaissance of Château de Fargues and goes into considerable detail about the making of one of the world’s great wines: Sauternes. That is because Alexandre de Lur Saluces has always been a sterling ambassador for Sauternes as a whole, not just his family estates. He has clearly lost none of his sense of wonder at the transformation by Botrytis cinerea of grapes grown on a unique terroir to produce a wine like no other. And he is very concerned about the appellation’s future. He points out the danger of a proposed TGV high speed train line that would upset the region’s delicate ecosystem, decries the production of dry white wine at the expense of one of the world’s great sweet wines, and criticizes the lack of commercial support from Bordeaux négociants. He also writes about matching Sauternes and food, a subject that often puzzles wine lovers. One must admire Alexandre de Lur Saluces’ ability to rebound after leaving Yquem and invest his energy in the renovation and expansion of Château de Fargues, an estate that has gone from strength to strength. This is described in a lively way and illustrated with beautiful photos. I would recommend this book by one of Bordeaux’s greatest figures to anyone with even a passing interest in Sauternes. It is informative, entertaining, thought-provoking, in easy-to-understand French, and full of anecdotes. Posted in Uncategorized and tagged Bordeaux, BordeauxWines, Sauternes, vavino, wine, winelover, winewednesday on February 17, 2017 by AlexR.